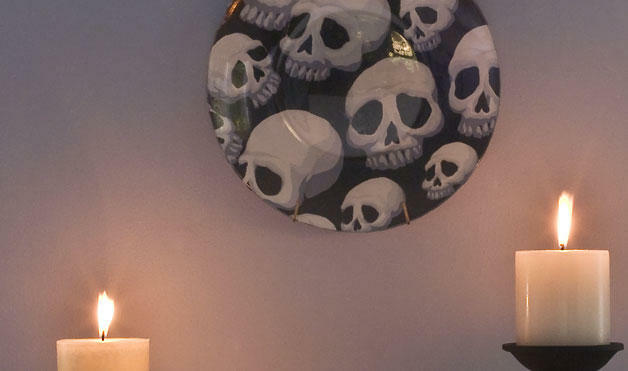 Halloween plates seem to be one of the hottest trends in DIY Halloween decorating this year. Here are some of the fun ideas I have spotted, starting with Heather's bewitching Halloween plates she made using some spooky Halloween printables. 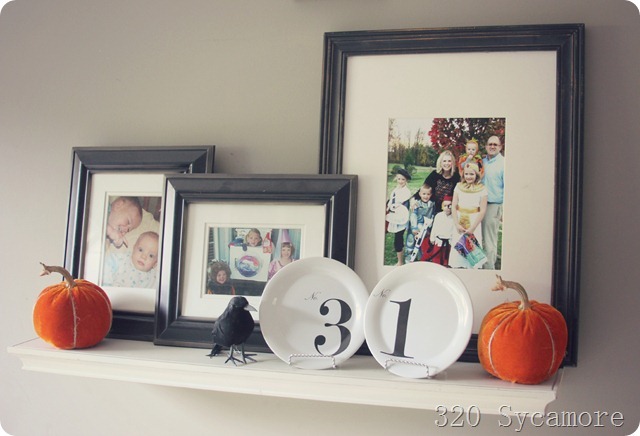 320 Sycamore dressed up her mantel with these fun '31' Halloween plates. Woman's Day has a tutorial for making plates like these skull plates by decoupaging patterned paper to the back of a glass plate. 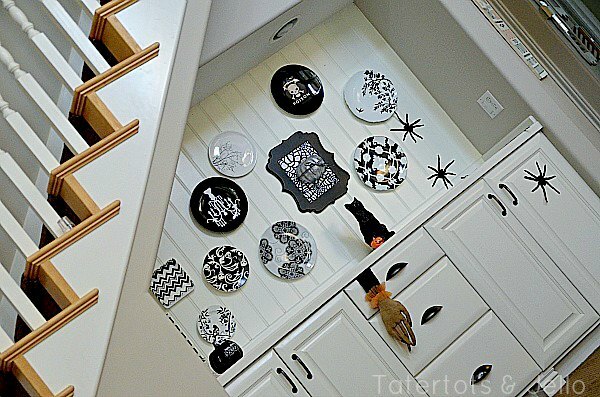 Jen created an entire display of black and white Halloween plates using vinyl accents to dress up store bought plates. 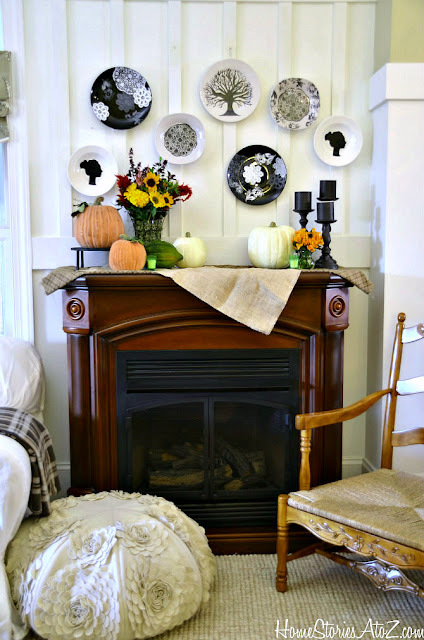 And Beth from Home Stories A to Z created her Fall inspired plates using paint glass. 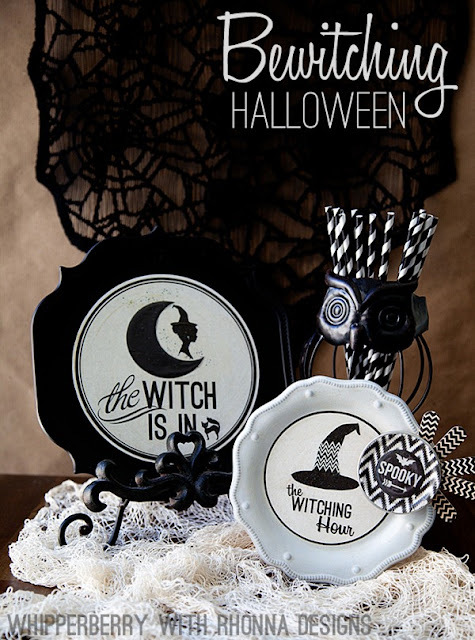 There are a number of techniques you can use and end pu with a great Halloween plate display. Love reading your blog! Great ideas... Thank you.